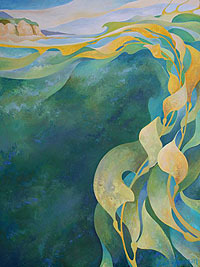 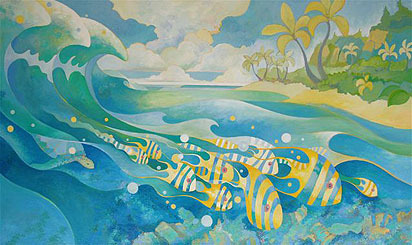 Growing up on Oahu's North Shore, Ea Eckerman's artwork has always been influenced by nature and a love for the ocean. 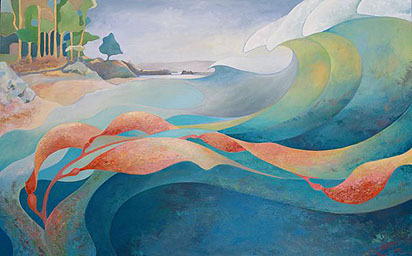 From doodling waves at Sunset Beach Elementary to completing an art degree at UC Santa Cruz, Ea has always been connected to the coast. 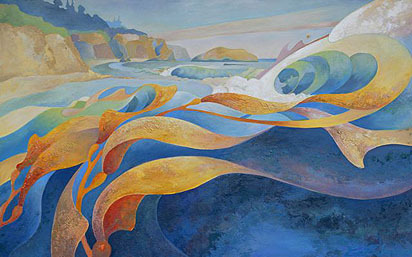 Painting, surfing and living in Santa Cruz, California, Ea has explored and found inspiration in California coastlines like Big Sur, the Monterey Bay and the North Coast. 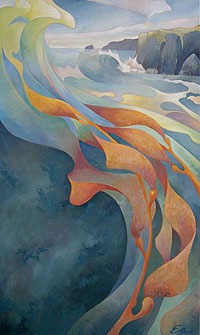 Ea's pieces are in collections from France to Hawaii and appreciated for their unique ability to intersect the real with the abstract. 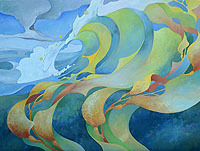 To see more of Ea's art or to contact the artist visit www.eckermanstudios.com.